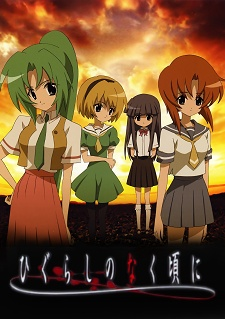 Watch When They Cry full episodes online English Dub. Synopsis: After moving into the quiet town of Hinamizawa, Maebara Keiichi spends his days blissfully in school often playing games with his local friends. However, appearances can be deceiving. One fateful day, Keiichi stumbles upon news of a murder that had occurred in Hinamizawa. From this point on, horrific events unfold in front of Keiichi, as he soon learns his close friends may not be all that they seem. Based on the amateur mystery game by 07th Expansion, the story is told in a series of different scenarios.